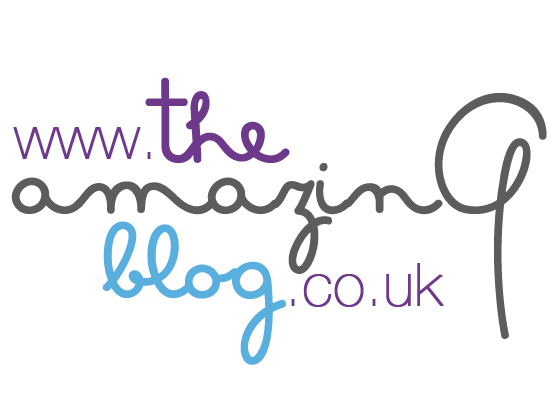 We here at The Amazing Blog are true beauty junkies. Whether we’re obsessing over a new lipstick or testing out a bold eye shadow, we just can’t get enough. Out of all the cosmetics to choose from, it’s hard to know what to buy and which products are truly worthy of our praise. Thankfully, today’s post contains four of our favourites, so you’ll know they’ve passed our product quality test. Wish you had eyebrows like Cara Delevingne or Lily Collins? We are totally into the bold brow trend, which is why we have started using Threads Beauty’s ‘Crayon De Sourcil’ to make our thick eyebrow dreams come true. Threads & Beauty’s ‘Crayon De Sourcil’ is a semi-permanent mineral brow pencil that lines, defines and fills in the brow instantly. Made with carnauba Wax, bees wax, cocoa butter, shea butter and manganese violet, this richly pigmented pencil enhances the appearance of the brows by boosting their fullness and boldness and protects the layer of skin around the brows. The pencil tip mimics the appearance of tiny hairs, evenly distributing and smoothing brow hairs while providing natural looking shape and contour. If you want model-inspired brows, you can purchase the ‘Crayon De Sourcil’ for £15.00 here and choose between black, brown and coffee shades. You can also purchase them at the Harvey Nichols in Knightsbridge. A glowing complexion doesn’t always come naturally, so for the days when we want a little something extra, we reach for the Glow Up powder from Ellis Faas. It comes in three shades and plays with the light around you for an effortless glow. Since the powder contains vitamin E, you’ll be protected from the outside environment, and it’s free of parabens and oils so it won’t weigh your skin down. For a soft shimmer, dust the powder onto the spots where light hits your face first: the bridge of your nose, your upper cheekbones, your Cupid’s bow and your collarbone. This will emphasis strong bone structure, bringing forth a young and vibrant appearance. To get your own Glow Up powder, head to the Ellis Faas website here and get the powder and a compact holder for £22. We always love a fabulous lip product, whether we’re heading to the office or out with our friends on a weekend. Since red-toned shades are our signature, we loved the Dissolved in Dreams lipstick from Rouge Bunny Rouge. It’s the perfect shade combining the best parts of red and coral lipsticks. The finish of this lipstick was unlike any other we have tried. It’s wasn’t matte or sheen, but rather gave us a dewy, classic finish. It stays comfortable and soft all day long, and won’t dry out your lips like other lipstick finishes might. Its vitamin E formula nourishes and protects, while filling in fine lines and ultimately making sure your lips look their best. Even though the shadows provides shimmer, they don't feel rough or gritty like some other shimmer lipsticks might. Try out this lip colour for yourself by heading to the Rouge Bunny Rouge website here and picking it up for £24. For the times when we’d rather focus on creating a fun eye shadow look rather than concentrating on a statement lipstick, we reach for the Mineral Eye Shadow Quads from Mary Kay. With these palettes, you don’t need to figure out which shades will work well with one another, since they’re already chosen for you. The shadows combine matte and shimmer shades that allow you to add variety to your look as you choose. You can use all of the colours or just one, giving you an infinite amount of creativity. The colours are long-lasting and glided onto our eyelids so smoothly without any irritation. Plus, the shades work with every skin tone and eye colour, so everyone in the office could try out the shades and they looked great on all of us. Head here to get your favourite eye shadow quad for only £10.